i was trying to get ready on wednesday afternoon when she marched into the bathroom, grabbed my hand, and said, "come 'ere, mama! come 'ere!" 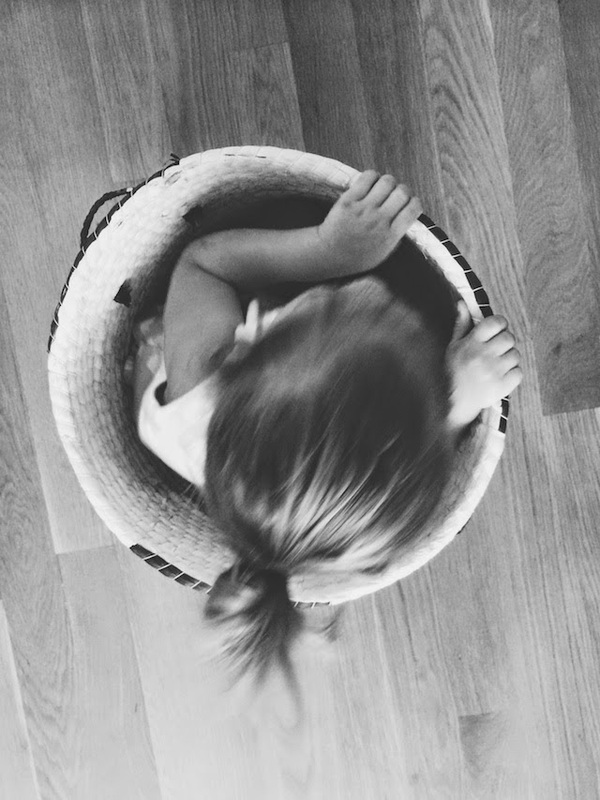 i followed her into the living room where she climbed into the basket that once held our blankets and asked, "'round and 'round? peezeeeee, mama?!" being on time is overrated, anyway.